As recently as 2012, Nigeria accounted for more than half of all polio cases worldwide. In 2015, after concerted efforts by all levels of government, civil society, religious leaders and thousands of dedicated front line workers, Nigeria was taken off of the list of Polio endemic countries. 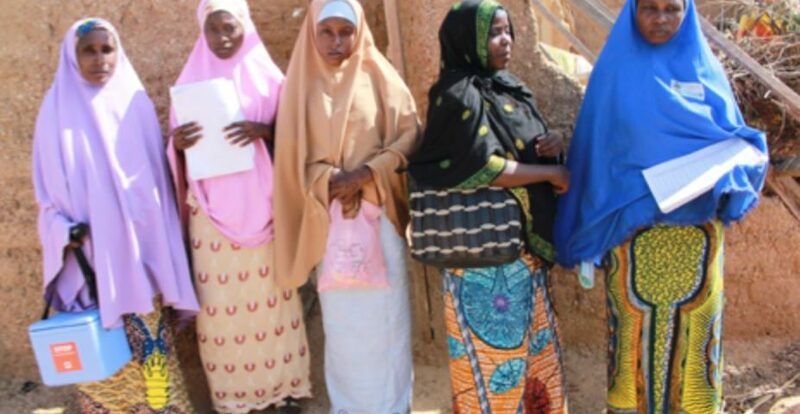 Recently, two new cases have been confirmed in Nigeria, making the effort as critical as ever to continue vaccinations and put an end to polio for good. This week, we had the opportunity to chat with Naureen Naqvi, a Senior Communications for Development Specialist for UNICEF, based in Abuja, Nigeria. 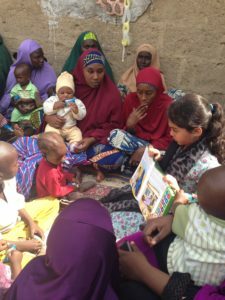 Naureen has spent the last five years in Nigeria, with a focus on polio eradication and developing programs to educate communities on the importance of vaccination. She told us about the amazing work that has been done in the region, mobilizing women to spread a message of health and hope. Women are critical to the effort. Not only are they usually responsible for the health and well being of their children, but also through their close nit networks, are able to spread the word quickly. That’s why UNICEF looked to women when launching the Volunteer Community Mobilisers (VCMs) Network initiative in Nigeria. VCMs are actually nominated by their communities, meaning they are well respected and viewed as leaders.Most of these women are not necessarily educated or literate, but they do have leadership qualities and a desire to help their community. Once selected, each woman undergoes an intensive training where she learns about the disease and how to prevent it with vaccination, how to use the materials, how to lead conversations about with locals, and how to collect data. 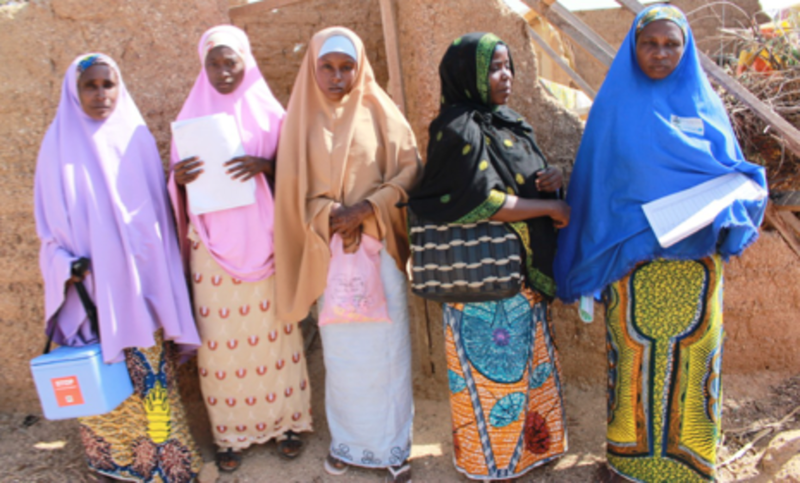 Although they are volunteers, each woman is paid a small amount per month, a sum that actually goes quite a long way in the investment for the future of these women communities. It is not an easy job, but one that requires dedication, time, and rigorous amount of data collection. The salary gives women financial empowerment along with capacity development to become an active advocate for health and well being of women and children. One of the keys to success of the VCMs has been the material they use during community interactions. The two main tools have been a pictorial flipchart and as of 2014, a PolioSpeaking Book. The flip charts include photos from communities, which have resonated quite well, helping to promote key household practices. However, in 2014, UNICEF partnered with Rotary International to create a Speaking Book called “Yes to Health, No to Polio”. The book, written in Hausa and English, tells the story through the eyes of a young boy eager to help his family and community fight the polio disease. Easy to follow text and culturally relevant illustrations explain the importance of immunizations and good hygiene. Most importantly, each page has a corresponding sound button that triggers a soundtrack so regardless of people’s literacy level, they still learn the information. As long as polio exists anywhere, it’s a threat to children everywhere. Efforts must continue to promote healthy living and immunization. The vaccine is free, but the barrier to receiving one still exists, especially due to lack of proper information and health infrastructure. UNICEF, Rotary, and Speaking Books are working hard to make this information accessible to all.